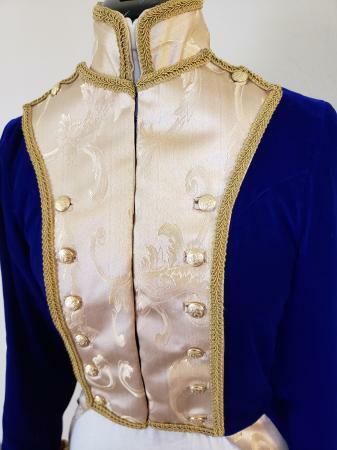 The jacket is made with blue micro velvet and gold jacquard. 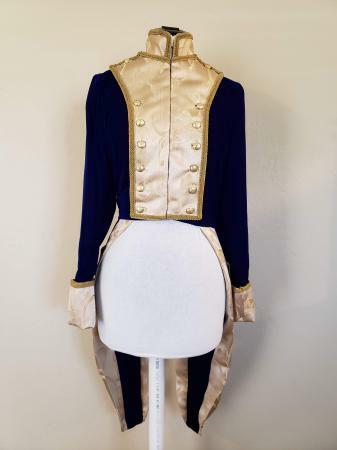 After a lot of research and deliberating, I ended up going with a slightly more historically accurate Napoleonic design rather than adapting it to be period-accurate to the setting of the series, since the manga design is clearly Napoleonic in style. 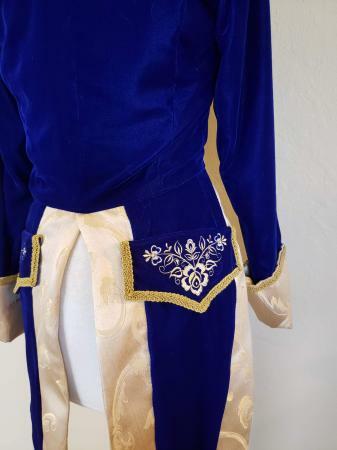 nThere is a lot of embellishment on the jacket, including braid and bound buttonholes on the lapels, and machine embroidered flowers on the back pocket flaps. 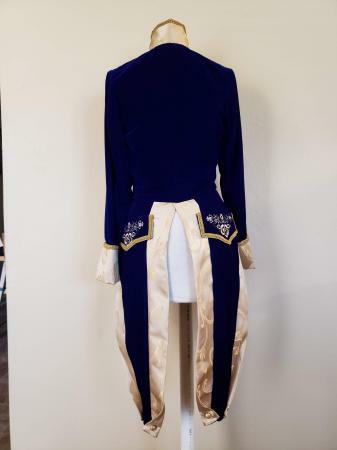 nThe pants are white denim, and the sash is cream georgette with braid and fringe trim. 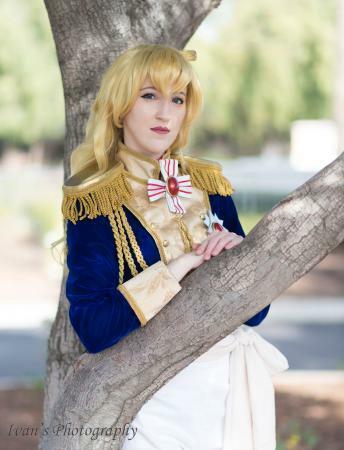 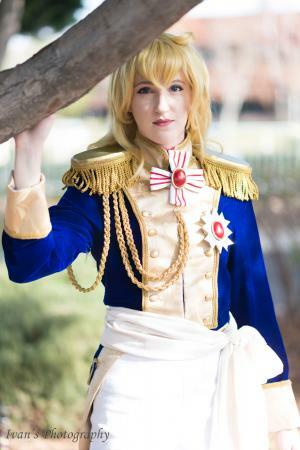 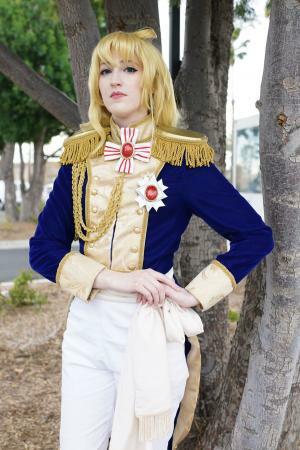 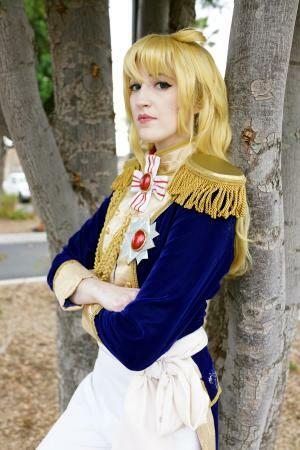 The epaulets are gold stretch vinyl with braid and fringe, with EVA foam inside for structure. 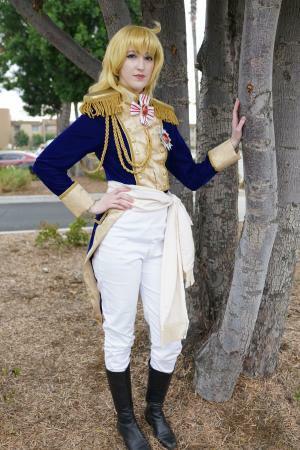 Oscar has been a long-time cosplay goal, and I finally finished it in 2018. 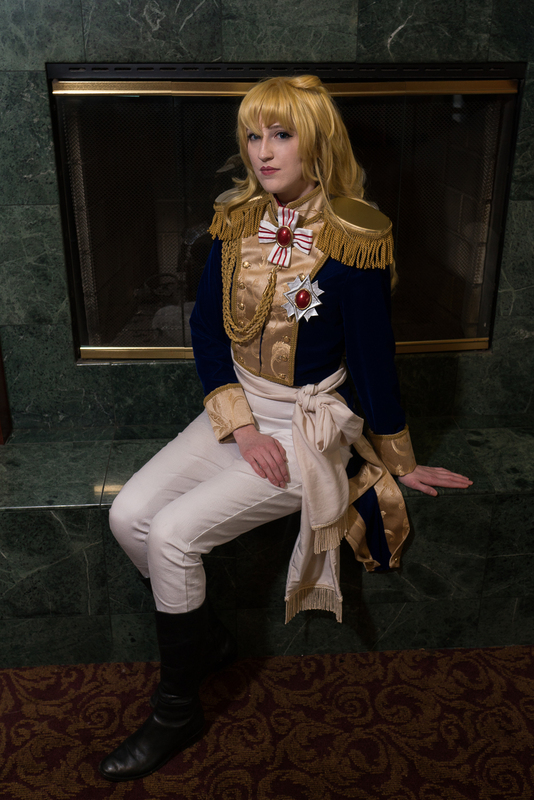 Added a pack of short wefts for additional volume.